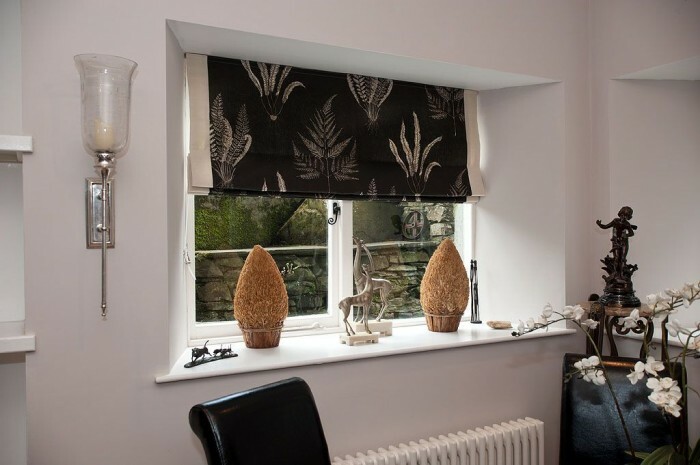 Roman blinds are a very modern, elegant way to dress a window. If you have a fabric with a large pattern, a roman blind is one of the few window dressings that will show the fabric to its full potential. Roman blinds are also very user friendly therefore great in a public space, for example, hotel, guest room or a child’s bedroom. At Tatty Gem we fit roman blinds to specially made tracks rather than to wooden batons. This means that the blind keeps its shape and will last much longer.